Hyundai India is fully prepared to present its most anticipated car Santro in a new avatar in India. 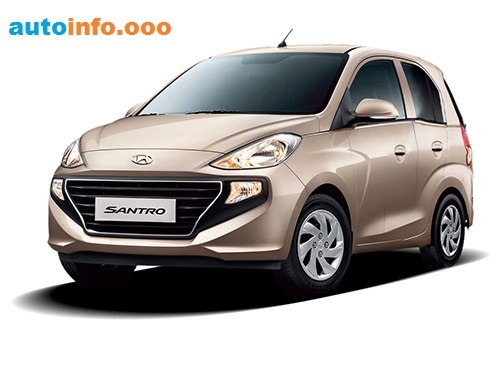 New 2018 Hyundai Santro will be launched in India on October 23, 2018. But its prices have already been disclosed before the launch. The new 2018 Hyundai Santro will be lowered to a total of five trim, which includes DeLite, Era, Magna, Sportz and Asta. The price of the base variant dialite starts from 3.87 lakh which goes up to Rs 5.29 lakh for the top variant esta. Both of these prices are ex-showroom, Delhi. Apart from this new Santro will also be available in CNG. A new 1.1-liter four-cylinder, petrol engine will be provided in the new Upcoming Santro, which generates torque of 68 bhp and 99 newtor torque. The 5-speed manual gearbox transmission in this engine is given as standard. Also Magna and Sport trim will also have AMT option. Santro will be Honda's first car with AMT option. Apart from this, Hyundai will also introduce CNG variants of New Santro, which will have a 1.1-liter engine. The output of the CNG variant will be slightly lower. This engine generates torque of 58 bhp and torque 84 newtons. CNG models will also be available only in Magna and Sport trim. The claim that the petrol variant of Hyundai Santro gives 20.3 km of mileage, while its CNG variant will provide 30.5 km per kilogram of mileage. 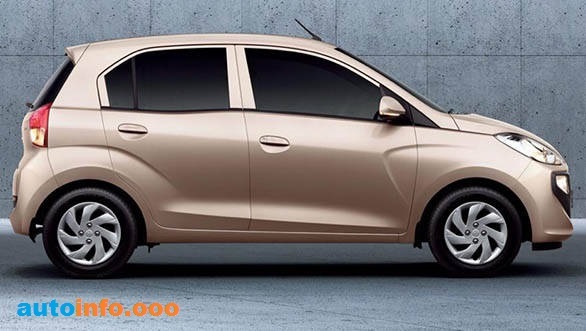 Hyundai Santro will come up with a new design and it will also have many Segment-First features. From the front, the new Santro includes Cascading Grill, Sweptback headlamp, fog lamps, fog lamps, plastic coloring and fog lamps of black color around the grill and sporty bumpers are also located in front. In front of the first, the car looks aggressive and sporty. Talking about the back part of the car, the new design has a tail light cluster. Apart from this, a stop lamp is also installed above the windshield. Altogether, the design of new Santro seems to be quite modern and sporty, but it also has the feeling of old Santro. The new Santro interior has a 7-inch touchscreen injection system that supports Apple Carplay and Android Auto. Its cabin is made on a dual-tone theme. In addition to this, Hyundai Santro's top model will also have AC Vents for the back passenger. All Variants of Santro will get driver-side airbags, ABS, reverse parking sensors, speed alert warning and front seat belt reminder. In addition, top-spek Santro typically offers dual-front airbags and reverse parking cameras. Explain that Hyundai Santro is a very old car of the company. After selling for nearly 16 years, its production was discontinued in 2015. Now the new Santro coming will be seen just like some old Santro. Hyundai AH2 Santro is currently India's most rated hatchback car. People are waiting for it and the company is about to launch it on October 23, 2018.